Last Friday in the Guardian, an article ran about the efforts to save the native wine grapes of the world. It focused mostly on Spaniard, Fernando Martínez de Toda and his quest to preserve what wine grapes were originally used in Spain prior to the Frenchification and “simplification” of the wine world. One of the most important quotes from the article was that due to globalization, “70% of the world’s wines [are] coming from just 30 varieties”. And it’s a salient point. There is far, far too much Cabernet Sauvignon, Chardonnay, Pinot Grigio, and a couple of others grown the world over. In New World regions where there weren’t originally vitis vinifera grapes, it makes (or at least made) sense to plant well-known workhorse grapes that people would immediately recognize and buy. 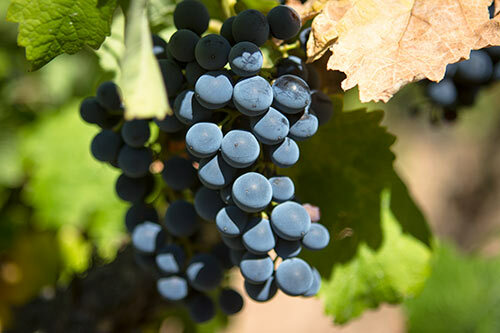 Many are trying to buck this trend as while Cabernet Sauvignon or Merlot may work well in say, Priorat, they’re not unique or interesting whereas local varieties such as Grenache and Carignan ignite a much more interesting bottle with a unique spirit and soul to it. Wine Mosaic is a French group that pops up now and again to promote returning to the original grapes of regions in Europe where they had been abandoned but it’s turning out to not be that necessary to have these champions. Winemakers that I know are seeing that you can’t compete on a global scale by producing yet another Cab for export and you need to be unique which is why many are ripping out their international vines (ie French) and planting local vines. Álvaro Palacios is well-known for grafting Grenache on to Cabernet Sauvignon which was originally grafted on to American root stock. Friends I know who have vineyards in Priorat are simply tearing out their Cab vines to plant new Grenache or Carignan ones as the demand for Cab is lessening with the years. The same is happening up in Empordà with cellars such as Espelt ditching their Merlot and Cab vines as well in favor of Grenache. Smaller wineries like Còsmic are grafting Trepat Blanc on to their Chardonnay vines to create unique, singular whites. This all goes well as it comes at the same time that many cellars are also turning to neutral aging vessels in order to let these grapes and the locale they come from sing out as opposed to be buried under a forest of freshly toasted oak barrels. I heartily welcome the trend and look forward to more of it in the future.